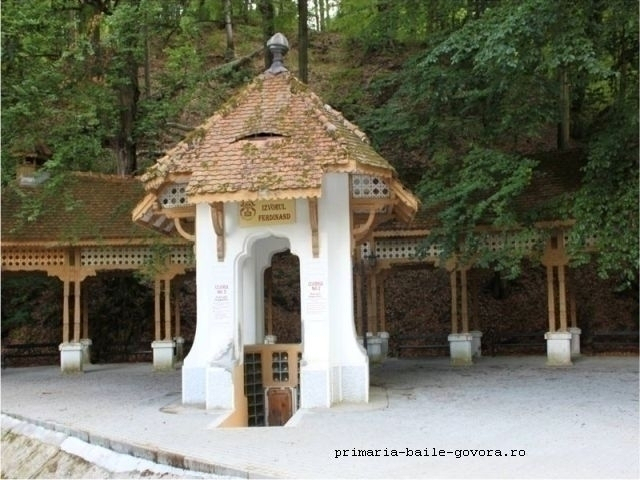 The Romanian Broadcasting Corporation, headquartered in 60-64 General Berthelot Street, fiscal code RO8296093, organizes a prize winning contest titled “Govora: Spa tourism at European level”, through Radio Romania International (RRI). The Organizer reserves the right to change the contest's concept and format any time it deems necessary, or to discontinue the contest at any moment for its duration, informing the public of the changes before they come into effect, by posting them on the website www.rri.ro, as well as through announcements on air on Radio Romania International. The contest runs between 1 December 2018 – 28 February 2019, mailing date, (namely 28 February 2019, 24:00 hours Romanian time, for online contributions), held in all of RRI's broadcast languages. The contest is addressed to all individuals who are 18 years of age by the date of 1 December 2018. Individuals who do not have the right to take part in the contest are employees, contractors of Partners, and relatives up to the second degree of individuals working at, or collaborating with, the Romanian Broadcasting Corporation. a) The contest runs between 1 December 2018- 28 February 2019, held in all of RRI's broadcast languages. b) One listener or user may win a single prize. c) The contest questions will be broadcast periodically on RRI, as well as posted on the RRI website, www.rri.ro, and on RRI social profiles (Facebook, Google+, LinkedIn). d) Participants have to answer all questions in the contest in writing, by any means: e-mail, on the addresses specified on the website of the Section to which the answers are being sent, on the Section's Facebook profile, by letter sent to the address The Romanian Broadcasting Corporation, headquartered in. 60-64, General Berthelot Street, sector 1, Bucharest, PO Box 111, cod 010165, on the Google+ or LinkedIn profiles, or by fax, 00.40.21.319.05.62. We encourage participants to add what determined them to take part in the competition, and especially why they listen to RRI broadcasts or follow RRI on-line. e) Answers sent by the same listener or user to several RRI Sections shall be taken into consideration only by the first Section to which they were sent. f) The prizes shall consist of products promoting the Romanian culture, cult music as well as the radio public service; the money value of prizes cannot be claimed or be granted. a) The listener or user who takes part in the contest is kindly asked to send to RRI, by letter or e-mail, their complete identification data and their mailing address (and home address, if different), in order to be able to receive a possible prize. b) Only correct and complete answers, sent on time, qualify for getting a prize. c) Prizes consisting of objects shall be sent by mail, postage paid by RRI, within the limit of funds allocated from the state budget, in the shortest time possible. d) Upon reception of the prizes, winners cannot refuse or return the package, except for objective reasons, justified in writing, in order to avoid generating additional costs for RRI. Refusing or returning the prize without a clear justification, accepted in writing by RRI, leads to that person being excluded from the list of participants eligible for prizes at the following contest organized by RBC through RRI. The same provisions apply to errors in communicating a home address, for which the participants are responsible. e) Winners are kindly asked to inform RRI in writing, by any means, about receiving the package and prize contents, in order to verify the integrity of postal delivery. By sending in answers for the contest, all participants agree and take on the obligation to comply with the requirements and conditions imposed by the Organizer under these Rules. In line with legislation in force, the Organizer is obligated to make public the name of winners and list of prizes granted as part of this contest. The organizer is also obligated to comply with the provisions of the General Data Protection Regulation (GDPR) (EU) 2016/679 on the protection of natural persons with regard to the processing of personal data and on the free movement of such data, stored for the duration of the contest. To this end, the Organizer undertakes to ensure the confidentiality of private data of participants in this context. By simply taking part in the contest and providing private data, the participants agree for that data to be entered into the Organizer's database. Upon specific written request by the participants, the Organizer shall not use private data upon ending of the contest. In the understanding of these Rules, force majeure means any event that cannot be controlled, remedied or foreseen by the Organizer, and whose occurrence makes them unable to fulfill obligations under the Rules, including, but not limited to: war, fires, flooding, labor strikes and blockades, earthquakes, powerful storms, other catastrophes of any kind. If a force majeure situation prevents totally or partially the good running of the contest in accordance with the conditions laid out in these Rules, the Organizer shall be exempt of responsibility for the duration of the force majeure. Any possible litigation between the Organizer and participants in the contest shall be settled amicably. If amicable settlement is impossible, the litigation shall be referred for settlement to the competent courts in Bucharest. The Rules of the contest shall be published on the www.rri.ro website and on RRI’s Facebook profiles. The reference version shall be the version in the English language.